Maximize outdoor living in France. 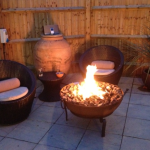 Gas FirePits run off natural or LPG bottled gas providing instant clean heat with smokeless flames. 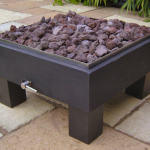 An attractive addition to any garden or patio, providing a luxurious warm and friendly atmosphere for any outdoor gathering. 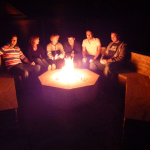 Gas FirePits are also popular exterior additions at hotels, nightspots and holiday locations. Our BrightStar Burner™ is a highly innovative gas burner made of stainless steel. 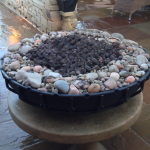 This is designed to be installed permanently into a surround made from brick or concrete which is commonly known as a ‘FirePit’. 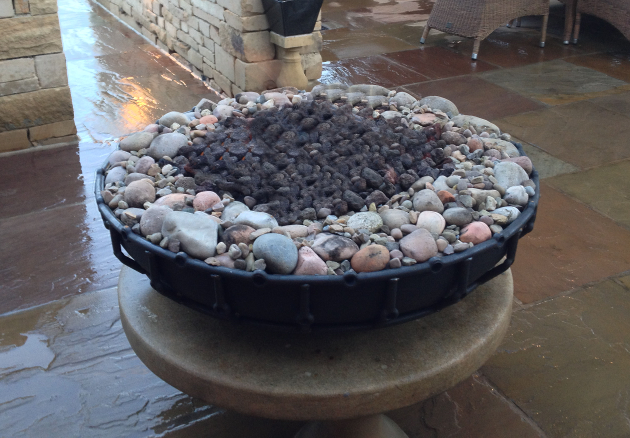 After installation, to give the flames a more natural look the burner is covered in a layer of volcanic lava rock.